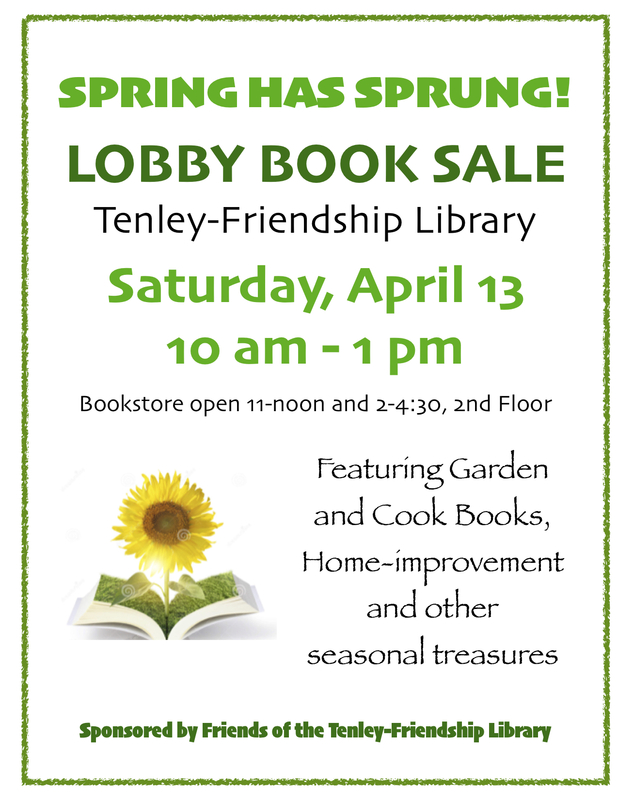 Spring book sale at Tenley-Friendship Library, Saturday, April 13, 10 a.m. til 1 p.m. Come browse for Garden Books, Cookbooks and other seasonal treasures. The Friends of the Library Bookstore will also be open, from 11 a.m. – 1 p.m. and then 2 – 4:30 p.m. Sponsored by the Friends of Tenley-Friendship Library.